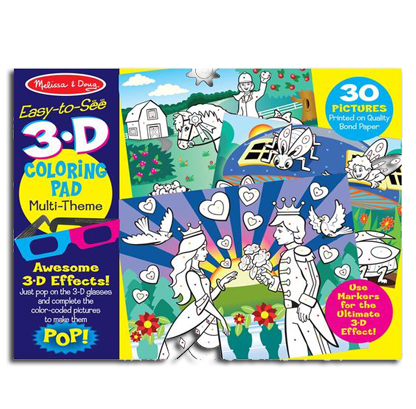 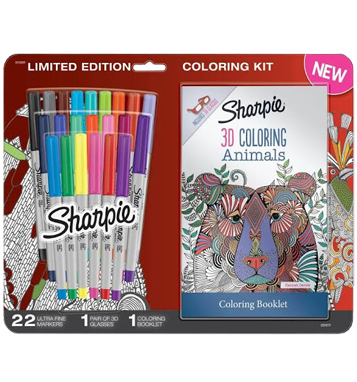 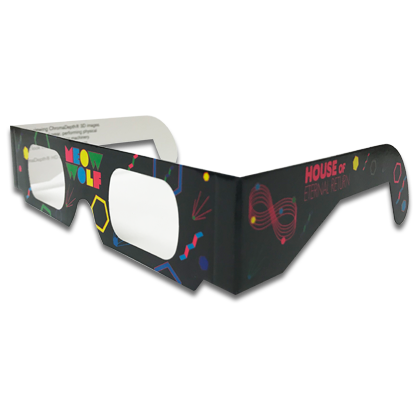 Melissa & Doug- American Paper Optics manufactured over 600,000 ChromaDepth glasses for a series of 3D reusable and interactive stickers (all with different backgrounds). 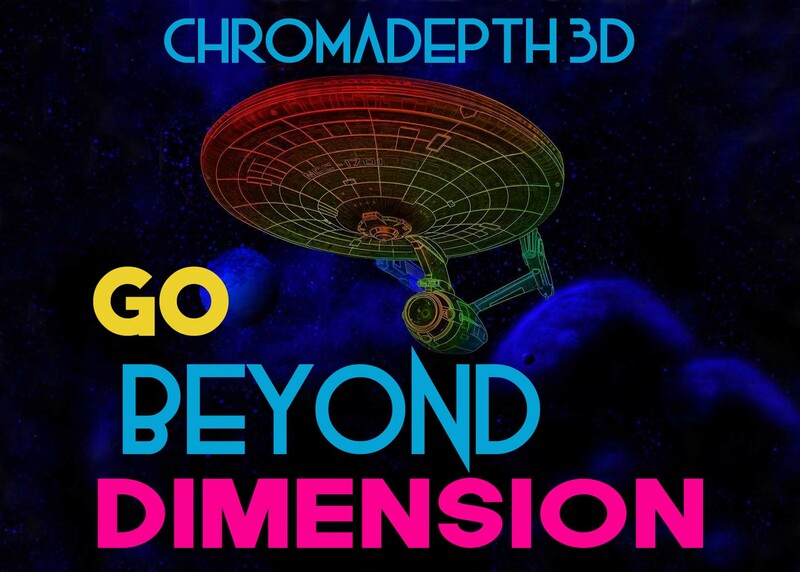 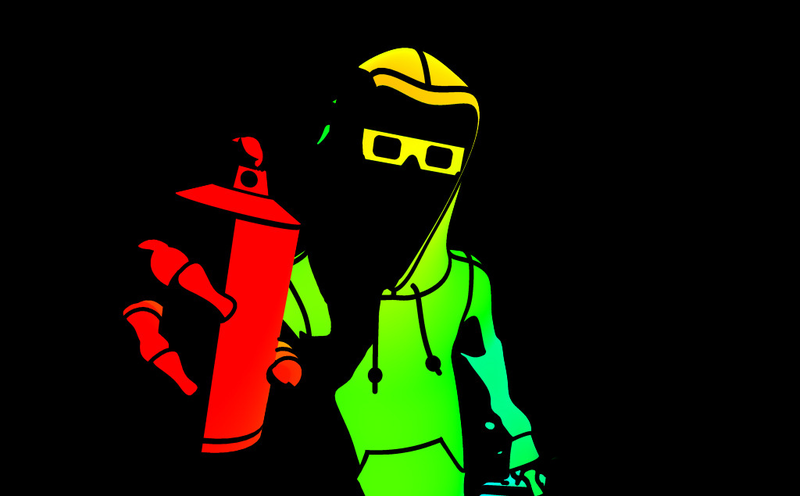 DEPTH CHARGE: Prepare yourself for a depth charge beyond belief with the revolutionary 3D ChromaDepth® process. 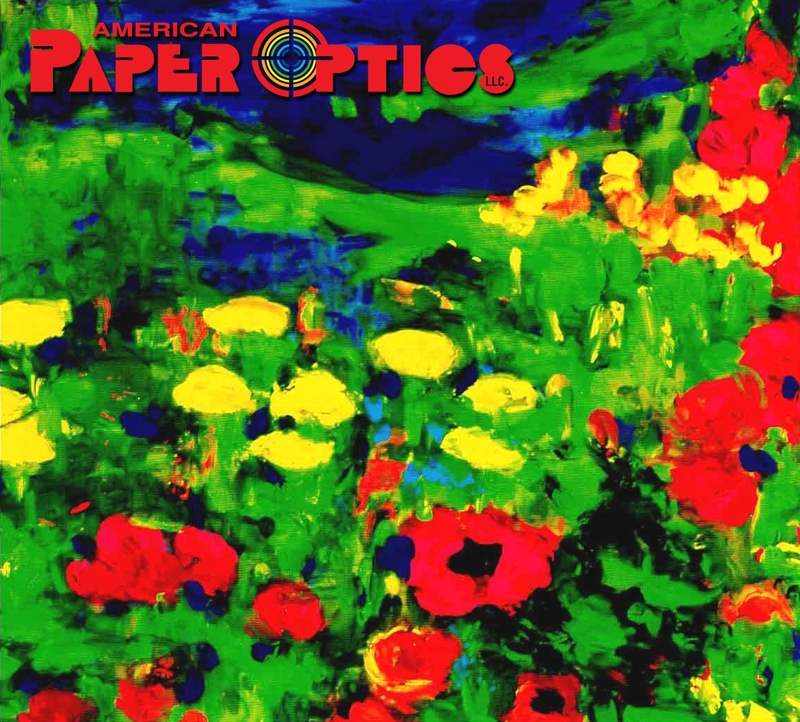 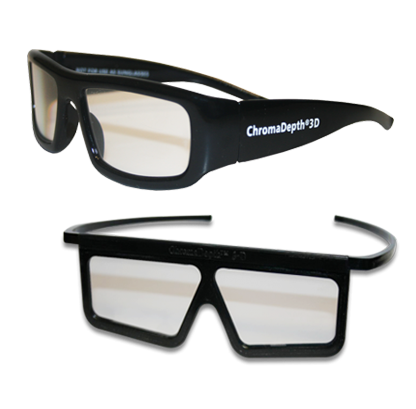 ChromaDepth® 3D glasses, an American Paper Optics proprietary exclusive, allows spectacular 3D images to be created and presented in film, video, television, computer graphics, smart phones, tablets, black light effects, and laser displays. 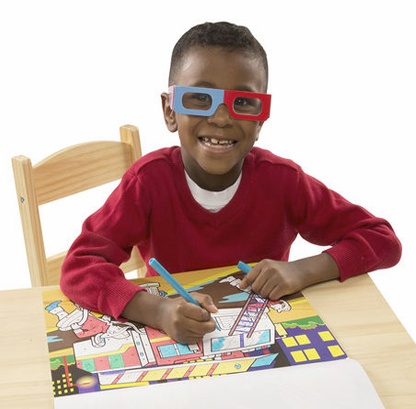 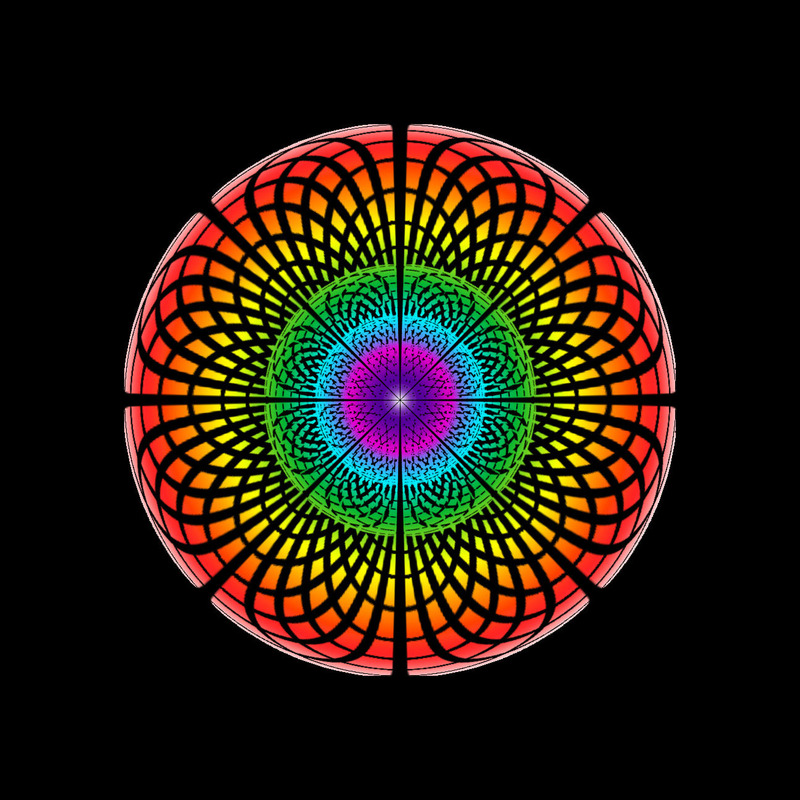 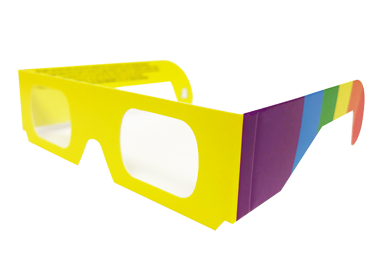 THE TECHNOLOGY: The ChromaDepth® glasses create striking, floating 3D images from normal 2D images by pulling the color red to the foreground and sorting the remaining colors according to their position in the rainbow. 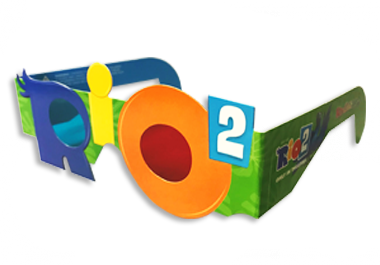 ROY G BIV! 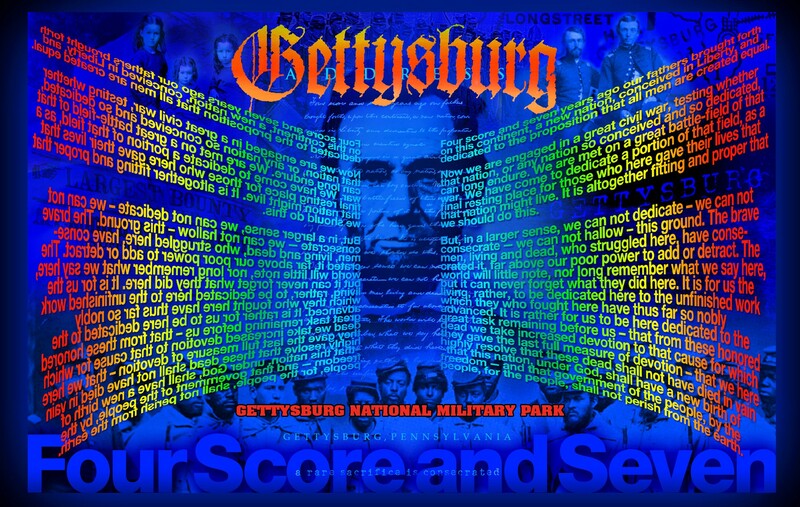 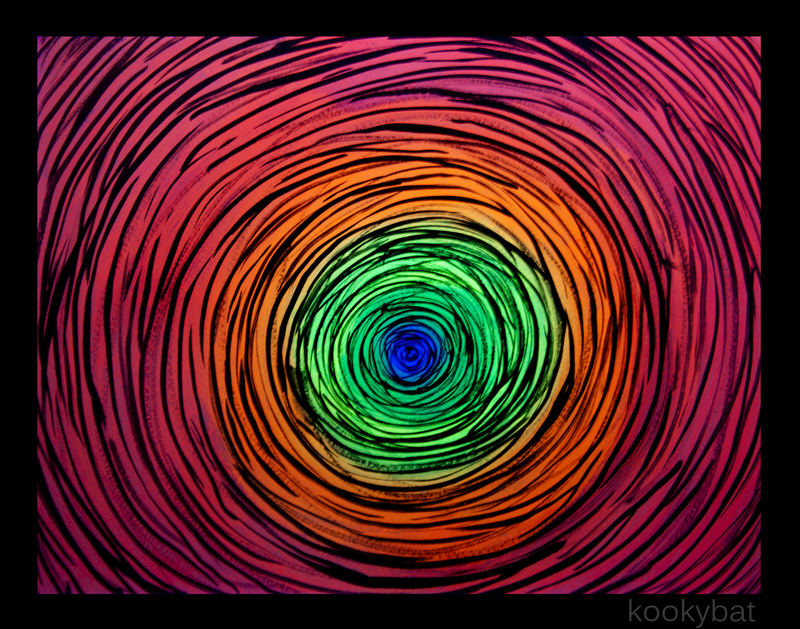 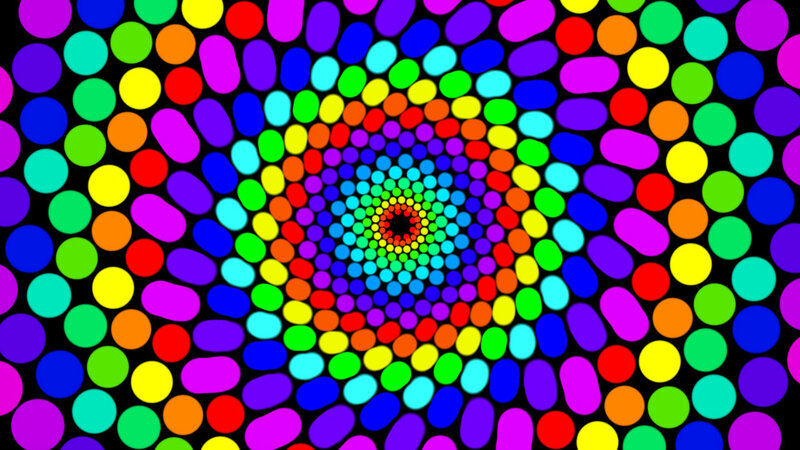 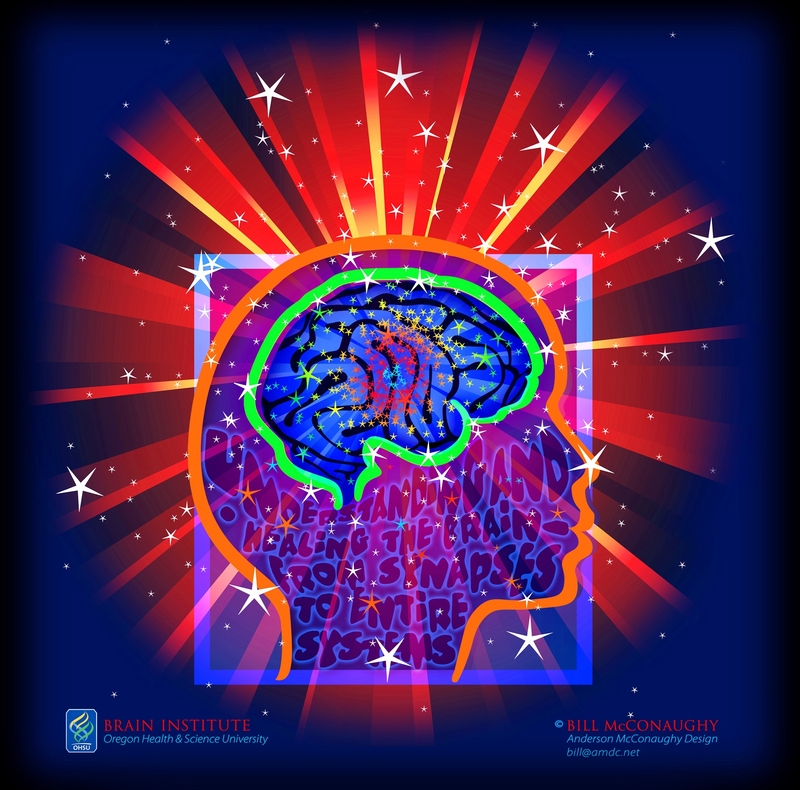 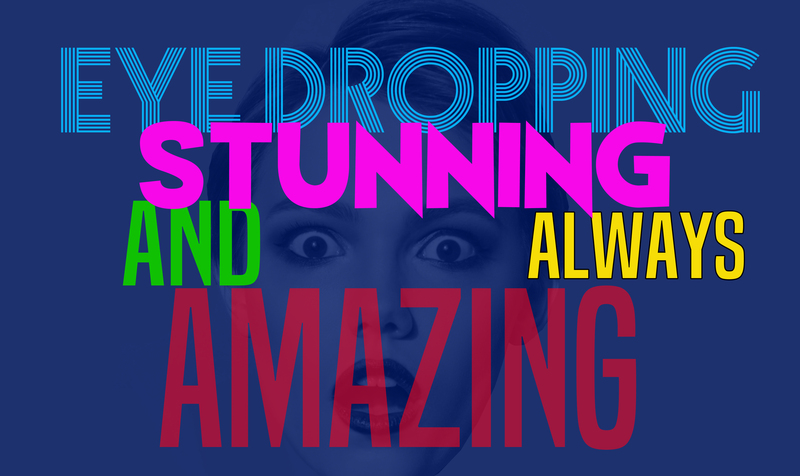 (Red, Orange, Yellow, Green, Blue, Indigo, and Violet). 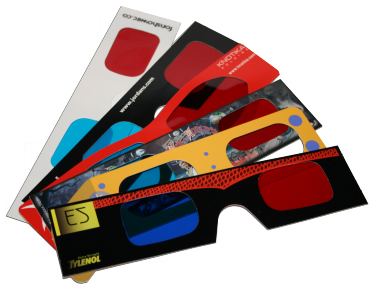 The ChromaDepth® process encourages fantastic 3D illusions without compromising the quality of the image when viewed without the glasses. 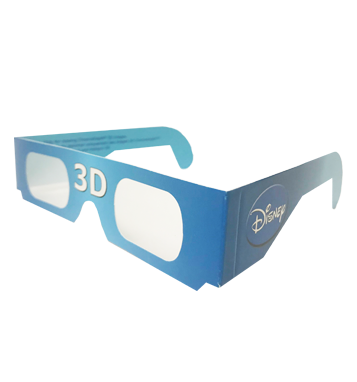 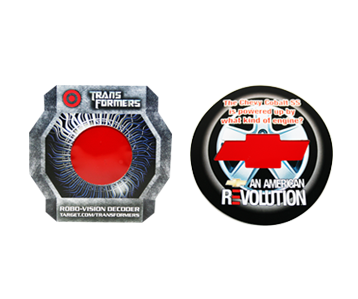 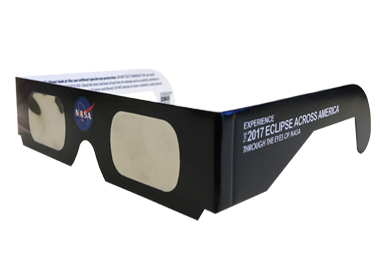 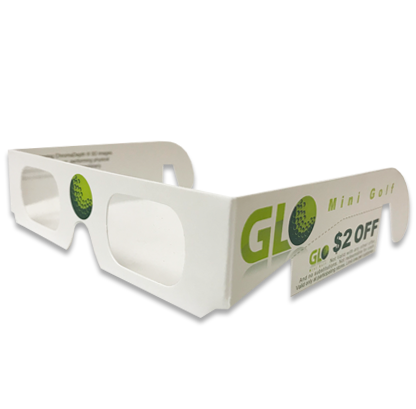 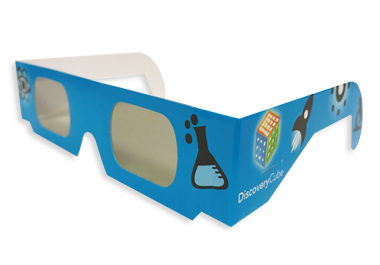 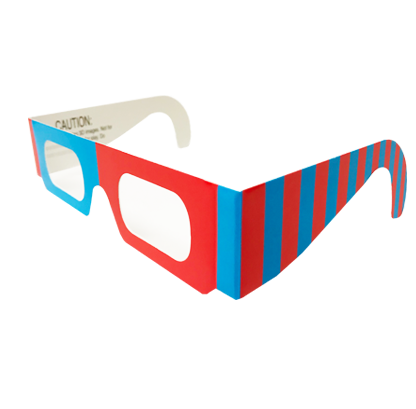 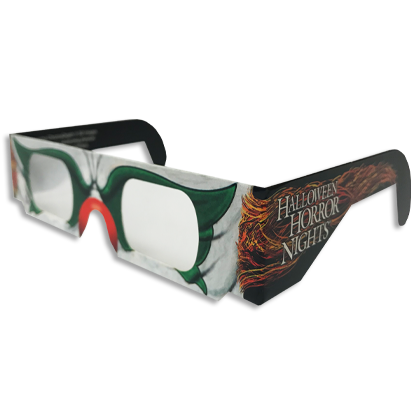 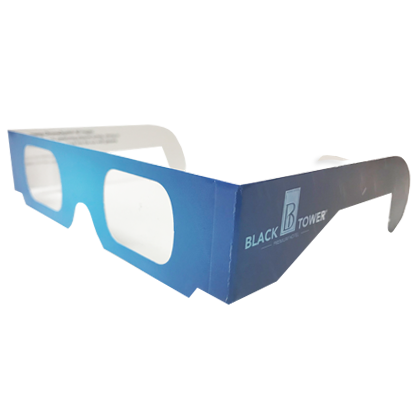 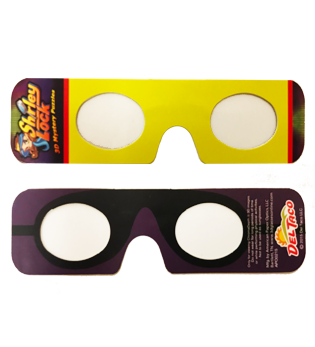 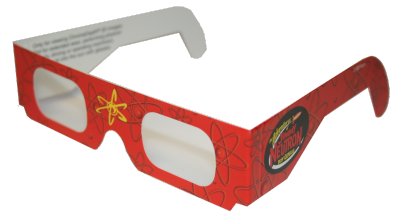 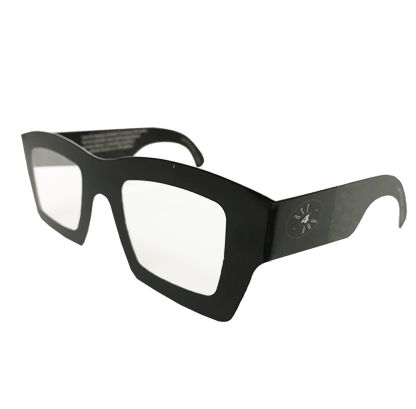 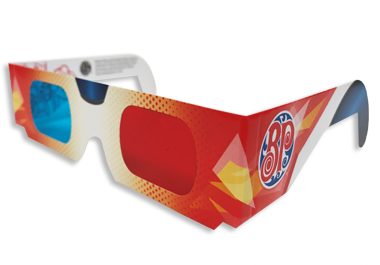 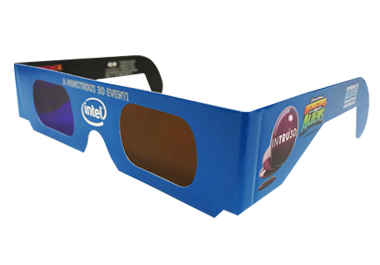 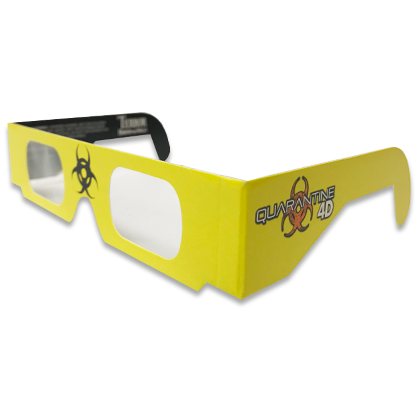 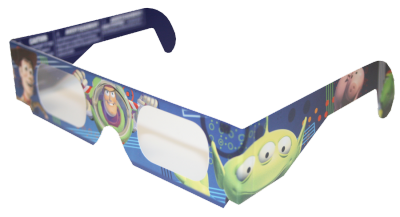 3D ChromaDepth® glasses are the hottest, inexpensive promotional item delivering tremendous marketing impact. 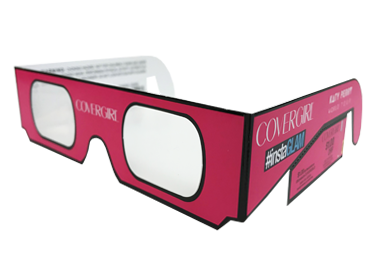 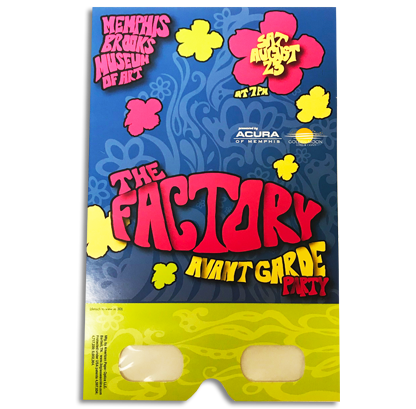  A variety of frame styles, full color printing, and intricate die-cutting make it easy to customize the 3D ChromaDepth® glasses for maximum advertising impact.